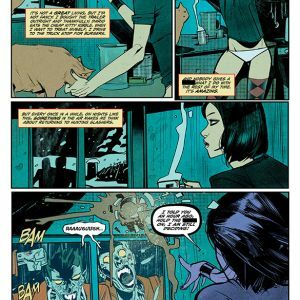 PORTLAND, OR, 3/22/2018 — Cassie Hack returns in Tim Seeley’s HACK/SLASH: RESURRECTION, VOL. 1 with Tini Howard as the new series writer along with artists Celor and K. Michael Russell. The trade paperback collects issues #1-6 and hits stores this April.